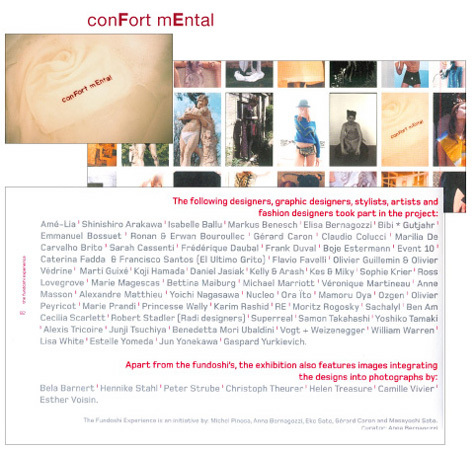 Underwear design “comFort mEntal” for Fundoshi Experience, January 2002. Group exhibition during the Interior Design Biennal “Intérieur02”. The Fundoshi is a Japanese traditional underwear which is essentially used by men. It is seen in various forms all through the pacific ocean. It exists more often in white fabric or sometimes in organic fiber, its origin is lost in the mists of time.